There are few events in life more exciting than finally bringing home the new animal companion you’ve been dreaming of. Whether you are rescuing or adopting a new pet, you’ve probably been considering the decision for a long time. Determining if you’re ready for a new forever friend is a huge decision, as caring for a pet is usually a enormous change to your life. Therefore, it’s important to consider how having a pet will fit into your work-life balance and to make sure that you’ll be able to provide your new animal friend with the love and care they need. Pets are a huge responsibility and they should not be adopted without seriously considering how they will impact your life. They are often an over 10 year commitment, so it’s important to ensure adopting is not a fleeting desire. If you’re someone who works long hours and doesn’t have a lot of free time, it may be a better idea to adopt a cat over a dog, as cats require significantly less attention. Most dogs, however, require affection and walks throughout the day to be happy. If you’re someone who enjoys traveling often, consider how often you’ll have to leave your pet in the care of someone else. While once a year may not disrupt your pet or pet-sitters, traveling multiple times throughout the year and leaving your pet as someone else’s responsibility may strain your relationship with them and possibly your pet. Therefore, consider what pet is going to leave you with the amount of personal time you need. If you decide to adopt a dog, you must then consider what kind of dog you’ll be able to accomodate in your residence and with your energy level. Large dogs like huskies and great danes require a lot of room for running around and exercising, as well as a constant playmate to keep them entertained and healthy in your apartment. If you don’t think you have the patience to keep up with a high energy dog, consider a small lap dog that will fit your relaxed lifestyle, or something in between. Keep in mind that certain dog breeds tend to have more health issues, so if you’re considering adopting a purebred dog, you should make sure you have enough credit available to keep up with their medical bills. Italian greyhounds tend to break their legs easily, bulldog breeds often have respiratory issues and golden retrievers have high rates of hip dysplasia, all of which may require surgery. Mixed breed dogs, however, tend to have less health issues and live longer lives. 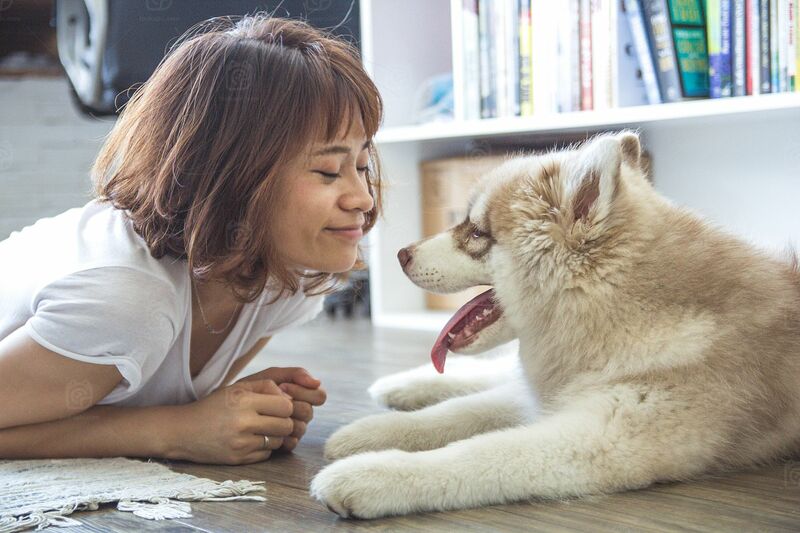 Dogs can have mild or strong personalities, so it’s important to spend as much time with them as possible before adopting them to ensure your personalities are compatible. Some dogs require a lot of attention and bark a lot, others just want to do their own thing and keep to themselves, which may not satisfy your needs. While it’s not uncommon for adoptions to be incompatible, this can potentially be avoided by thinking critically about your interaction upon first meeting the dog. The first few weeks can be a time of trial and error, which means exploring different kinds of dog food before finding the right one, buying toys with different functions and adding some pillows and blankets to get their doggy bed cozy enough to sleep in. You’ll also have to pay close attention to when they want to go outside for walks to avoid accidents in the house. If your new dog has separation anxiety, it will take some time to develop an exit strategy that prepares them for your departure; this can include treats and commands. Adopting a pet as part of your family is a huge and exciting decision that should always be premeditated and thoroughly thought out. Dogs can add a lot to your life if you’re ready to love, cherish, and bond with them; however, not all dogs are compatible with every human. Consider what you need from an animal companion, whether that be emotional support or a jogging partner, and then take the time to get to know your dog and ensure they are the perfect pet for you.